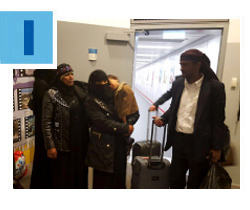 A group of 19 Yemenite Jewish immigrants arrived in Israel this week, following a complex, covert operation coordinated by The Jewish Agency for Israel, the Greater Miami Jewish Federation's long-time overseas partner, bringing the historic saga of Yemeni aliyah to a close. Some 200 Jews have been secretly rescued from Yemen by The Jewish Agency in recent years, including several dozen in recent months, as attacks against the Jewish community have increased and the country has descended into civil war. Click here to see New York Times coverage. Click here to read more. Your Federation support made it possible for Jews across war-torn Ukraine to celebrate Purim this week. Through the Federation’s steadfast overseas partner, the American Jewish Joint Distribution Committee (JDC), local residents visited each other’s homes and exchanged gift packages of holiday foods (the customary mishloach manot), while hundreds of internally displaced people participated in Purim Megillah readings. The JDC also provides vital supplies and services to vulnerable Ukrainian Jews every day. Click here to read more. As we saw yet again this week in Brussels, acts of violence and terror continue to make headlines, and it's easy for children to become worried about their safety. 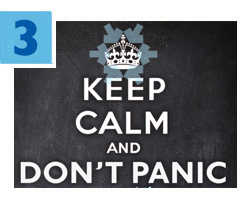 To help parents address the issue, the Miami Beach Area of Federation’s Women’s Philanthropy will host an educational program on Thursday, April 7 called “Keep Calm and Don’t Panic: How to Talk With Your Kids About Violence and Terrorism.” Chaired by Leslie Benitah and Cara Roller, the event will feature two experts in the field of psychology. Click here for details and to RSVP. Under 40 and looking for a great way to get involved with the Greater Miami Jewish Federation? The Network offers opportunities year-round for young Jewish singles and couples to socialize, develop their leadership skills, and lend a hand to meaningful volunteer projects that give back to the community. Learn more about The Network by visiting their Facebook page, emailing stober@gmjf.org or calling 786.866.8446. 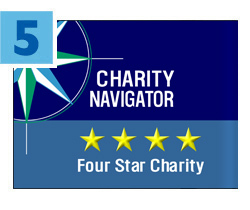 The Greater Miami Jewish Federation has received a 4-star rating, the highest possible from Charity Navigator, America’s largest independent evaluator of charities.